New Zealand and Reggae are not the most likely combination. But, since 30-odd years now, our beloved genre has been alive and well on the island, perpetuated by bands and musicians who number in the hundreds today. A remarkable fact, given that the total population peaks at 4.8 million in total! One of the spearheads of the musical movement there is the band called Katchafire. Founded in 2000 by daddy Granville Bell and his two sons, Logan and Jordan Bell, they started out as a Bob Marley cover-band, but soon discovered their ability to capture an audience with their own songs. Flash forward to 2018, they now deliver their fifth album called Legacy. A smooth entry is given by Fyah In The Trenches, followed by the good-mooded Love Today. The way both vocals and instruments interact on the latter makes it one of the outstanding tunes of the album, the second one being Addicted. Beautiful melody, fine instrumentation, awesome brass section and great video! Not all songs have this class, however. While I Can Feel It A Lot might still be acceptable, Luv Plan is, apart from the rolling waves in the beginning, downright boring and not even sung very well. Good thing that's only 2 of 12! Tracks like Way Beyond, the uptempo Wasted or the Mama-hymn 100 bring the good vibes back, and both Living As 1 and One More Day bear proof of the singers' capability. Featuring Jamaica's Notis Heavyweight Rockers, Walk With Me is the result of an artist link-up arranged by Australian colleague Nattali Rize. Another feature, Anuhea is the first female front singer the band ever worked with, and her melting voice is a nice addition to the love song Ain't Gonna Give Up. 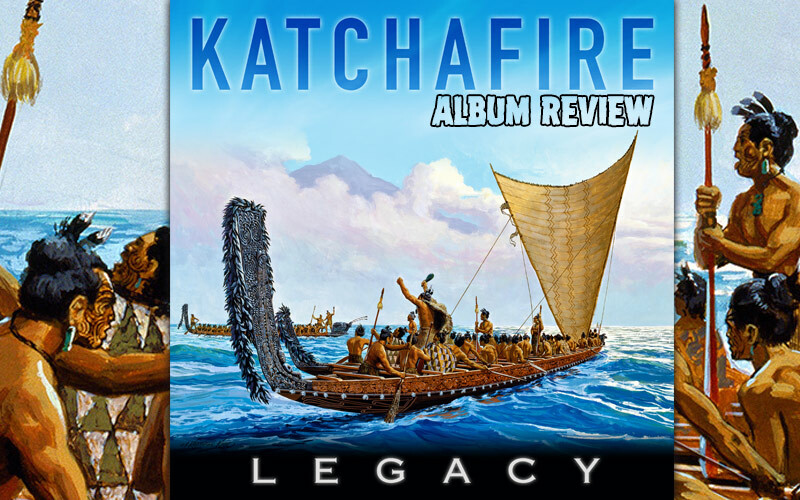 With Legacy, Katchafire continue their conscious journey through space and time, adding their very own flavour to the universe of Reggae music. Their growing popularity both home and abroad will ensure that their feel-good-vibe is available to many concert- and festival-visitors around the world. You better catch this fire!